Jesse Spohnholz’s book, The Convent of Wesel: The Event that Never was and the Invention of Tradition (Cambridge University Press, 2017) won the 2018 prize for the best book in German History or Social Sciences published in the previous two years, awarded by the German Studies Association and the DAAD. On Thursday, September 13, 2018, the Clements Center will welcome Matthew Sutton, the Edward R. Meyer Distinguished Professor of History at Washington State University, for his talk “Spies and unHoly Lies: How American Missionaries-Turned-Covert-Agents Helped Win World War II and Shape the Future of U.S. Intelligence.” The Intelligence Studies Project (ISP) will co-host this event. Dr. Lawrence Hatter’s article about the War of 1812 was published this morning in the Washington Post! 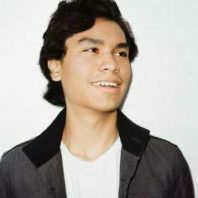 Take a look at his perspectives article here! Dr. Orlan Svingen can be found across a series of presentations offered in Montana and Idaho this summer that are dedicated towards recognizing his work with local Indian tribes! 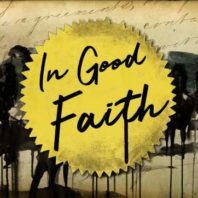 In Good Faith is narrated by Forrest Goodluck, a well known Native American actor you may recognize from The Revenant! There will be a screening of his documentary in both Montana and Idaho later this summer! The department is happy to announce that Ken Faunce, Clinical Assistant Professor in the RCI Program, has been awarded a Samuel H. and Patricia W. Smith Teaching and Learning Grant from the Vice Provost for Undergraduate Education for his project Engaging Students with Digital Active Learning Resources! Professor Kawamura awarded Craft Professorship! The Department would like to congratulate Dr. Noriko Kawamura who has been selected as the Arnold M. and Atsuko Craft Professor! The professorship lasts for 3 years and her term begins this August! The Craft Professorship is intended to help assist professors with the funding of scholarly, creative, and instructional activity! Congratulations Professor Kawamura!